Overview… aspiring escape artist. Virgil Hilts, aka “The Cooler King,” is an American Air Force captain captured by the Germans during World War II. Hilts already has 17 attempted escapes under his belt when he is transferred to a maximum-security POW camp for 250 ne’er-do-well Allied prisoners. 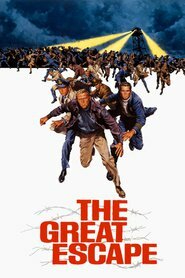 Determined to divert German resources and manpower from the front lines, the prisoners hatch an escape plan, and Hilts must sacrifice his personal escape plans for the greater good. Personality… impetuous and insolent, but mentally tough as nails. Hilts takes great pleasure in aggravating the German guards, and his disruptive antics often end up with them throwing him in solitary confinement, or “the cooler” – hence his nickname. He invites these conflicts with open arms as if to prove a point. His spirit is unflagging in the most bleak of circumstances, and no matter how much punishment he endures, the Germans can never break him. The Cooler King's popularity ranking on CharacTour is #4817 out of 5,000+ characters. See our top-ranked characters and read their profiles.